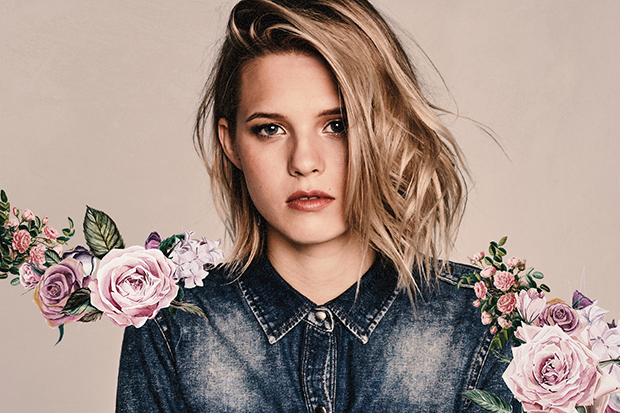 Molly Kate Kestner first made waves in 2014 when an acoustic tearjerker called “His Daughter” went viral (15 million views on YouTube and counting). That resulted in a record deal with APG/Atlantic and a pair of very good singles, “Good Die Young” and “Prom Queen.” She now makes it three gems in a row with “It’s You,” which was co-produced by Ryan Tedder. This is the 21-year-old’s best song to date, a feisty mid-tempo kiss-off that showcases her soaring vocals. What’s it all about? “It’s never easy breaking up with someone, so most of us tend to use cliche phrases to soften the blow,” Molly reveals. “Lines like ‘I just need some time to work on myself’ or ‘It’s not you… it’s me.’ But the truth is, if you’re breaking up with someone, there’s a greater reason. And we’re usually thinking, ‘It’s NOT me, it’s YOU.’ So this song is about coming clean, cutting ties, and letting go of the fear of hurting someone. There is something incredibly empowering about simply being honest about how you feel.” Amen. We’re excited to premiere “It’s You” below.